MullenLowe Group has created MullenLowe Group Greater Mekong and appointed Neil Holt as CEO of the new operation. MullenLowe Group Greater Mekong has been created to offer a hyperbundled creative, digital and activation agency across Thailand and Vietnam. The launch of MullenLowe Group Greater Mekong is the latest step in the building out of MullenLowe Group’s hyperbundled model across Asia, and follows on from the creation of MullenLowe Group China and MullenLowe Group Japan in recent months. Holt will be responsible for managing the 150 people operation across the MullenLowe Group Thailand and Vietnam offices, with key clients including Unilever, Bank of Ayudhya (Krungsri), MG Thailand, A.P. Honda and the Chip Mong Group. Former MullenLoweThailand CEO Supavadee Tantiyanon departed at the end of 2017. Digonnet noted, “Supavadee made an important contribution to the MullenLowe Thailand operation during her tenure. And we wish her all the best for the future”. Holt has enjoyed a 30-year career in marketing. With 20 years core experience in Asia, he has held a number of senior management roles including 10 years as Managing Director of Euro RSCG Bangkok (now HAVAS). Following that, Holt was CEO of RAPP Thailand and MD of RAPP/ Tribal Worldwide in Beijing between 2011 and 2016. He joins MullenLowe from Unbound Group in Australia, a combined Communications Agency and Creative Tech Company specialising in new and emerging platforms including VR and AR. 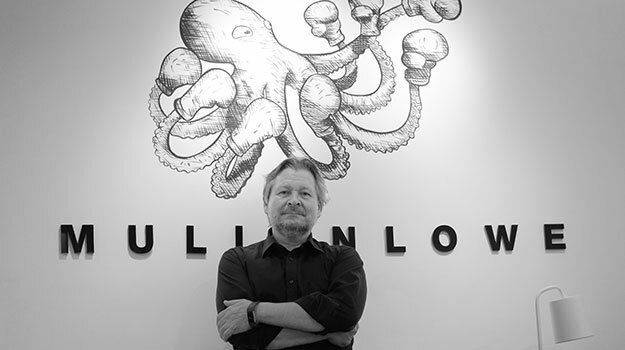 Holt commented, “I am delighted to be back in Bangkok to lead MullenLowe Group’s hyperbundled offering across Thailand and Vietnam. I have previously led operations in the advertising, digital transformation and activation disciplines, and the opportunity to build out the hyperbundled MullenLowe Group operation under a single P&L truly excites me”. Copyright © MullenLowe Thailand 2019.